Adelaide Free Bikes - We welcome your feedback, so please take a minute to answer these eight quick questions. * 1. Where are you from? * 2. How would you rate the condition of your Adelaide Free Bike? * 3. How would you rate your overall experience of the Adelaide Free Bike programme? * 6. 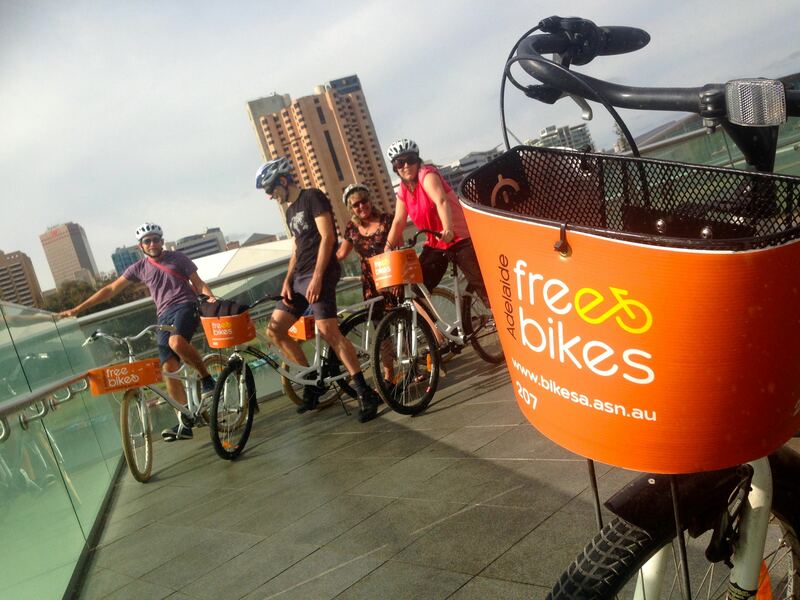 Do you believe having Adelaide Free Bikes helps to make Adelaide a more popular place to visit? * 7. How much money did you spend while out with your Adelaide Free Bike? If you were part of a group/family, please include the total amount spent by the whole group/family. * 8. Please add any other comments about Adelaide Free Bikes not already covered. And if you're happy for us to share your comments, please include your name. Thank you for completing the survey and for using Adelaide Free Bikes. We hope to welcome you again!